Vogue attempted diversity on their latest cover and people are not impressed. "No Norm Is The New Norm" reads the cover of Vogue's March 2017 issue, which they're calling the "Modern American Woman" cover, Us Weekly reports. And yet, of the seven women featured, there's only one plus-sized model (Ashley Graham, who shot her first U.S. Vogue cover in 2016), and none of the models have darker skin or a bone structure that strays away from the typical cover girl standards. Kendall Jenner and Gigi Hadid are both present, even though the two models are the definition of fashion elite and have done numerous Vogue covers previously. 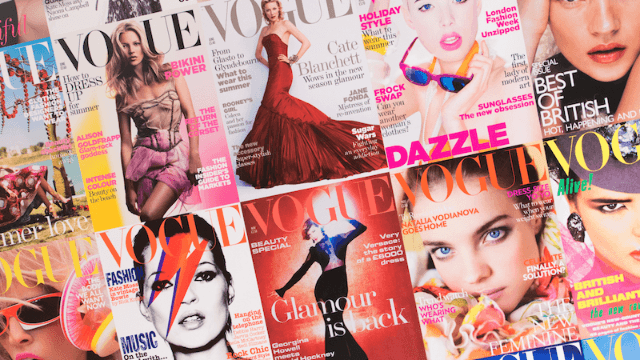 All in all, it feels a lot like the typical norm for the fashion magazine, despite what Vogue promised. The comment started to roll in on Instagram, and readers were quick to point out the issues with the cover. For one, plus-size model Ashley Graham is the only model with her arm down, which suspiciously ruins the symmetry of the photo and was possibly done to cover her thigh. "You made the girl with the most generous leg cover it with her arm," one commenter noticed. "She's also the only one wearing black shorts instead of a print. Sad," another added. "I wanna see a dark girl w thick black hair not blonde or brunette," yet another commenter who identified as Mexican chimed in. And others were more straightforwardly aghast: "Omg WTF!!! This has to be on purpose! It is so obvious everything is wrong with this photo! Why are you doing this!???????" Fashion is a world that depends on exclusivity. For something to be cool, it has to feel unattainable. But diversity when it comes to body shape, size and color shouldn't be a part of what makes something fashionable, and proper representation should never feel unattainable. And when it comes to political statements right now, all I'll say is that people are taking note of who stepped up, and who stayed silent. Maybe Vogue should take a lesson from cool younger sister, Teen Vogue.